Community Involvement & Planning / Rannpháirtíocht an Phobail & Pleanáil:Glin is very welcome to the 2014 Supervalu TidyTowns competition. Your committee has gained two new members, we welcome them on-board and hope that they will enjoy the TidyTowns experience for many years to come. Many agencies, bodies and businesses are supporting your endeavours and they are also thanked for their contribution. You are communicating well with the local community by various mediums and we particularly liked your recent blog entries. Your parish website is excellent, we liked that it was up-to-date and interesting with high quality content and photographs. 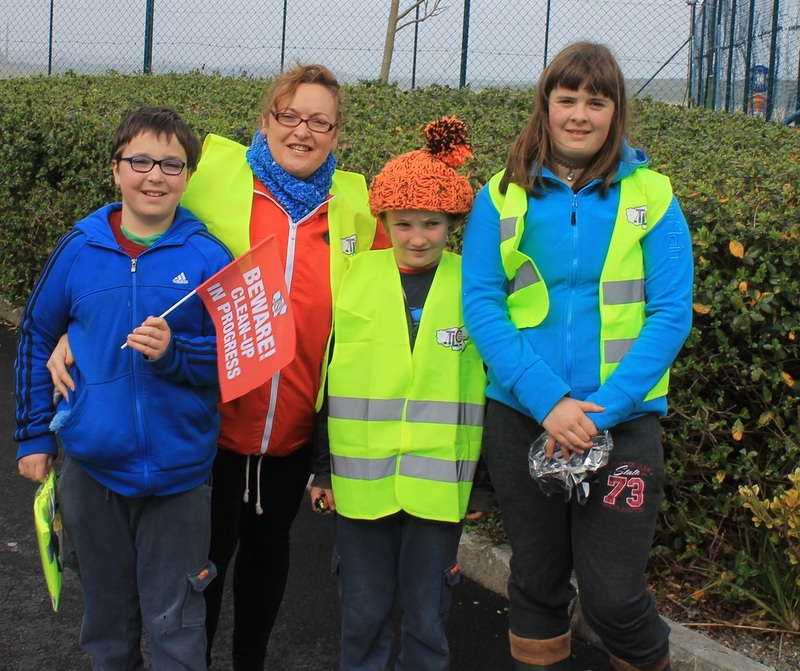 The committee members, the Junior Green School committee and the other local representatives that give their time voluntarily to the enhancement of Glin are to be praised. To your credit the village is moving from strength to strength in the competition. Once again, this year we need to highlight the absence of a TidyTowns development plan, please consider preparing a simple plan to assist your forward planning in the competition. Built Environment and Streetscape / An Timpeallacht Thógtha agus Sráid-dreacha:The adjudicator was pleased to see a number of business owners maintaining their properties on adjudication day. Key businesses on the main street looked well, but special praise is deserving to Hogan’s and O’Shaughnessy’s as they were busy painting their properties. The town park is a lovely amenity, your new sculpture ‘Ceanglach’ was admired. We would agree with last year’s adjudication comments regarding the surfacing around the GAA grounds and car park. Perhaps the club would consider weeding and improving the presentation of the wall with a fresh coat of paint. You are to be commended for holding local heritage events such as the ‘Historical Walk and Talk’, continue to educate others on the local history and heritage. 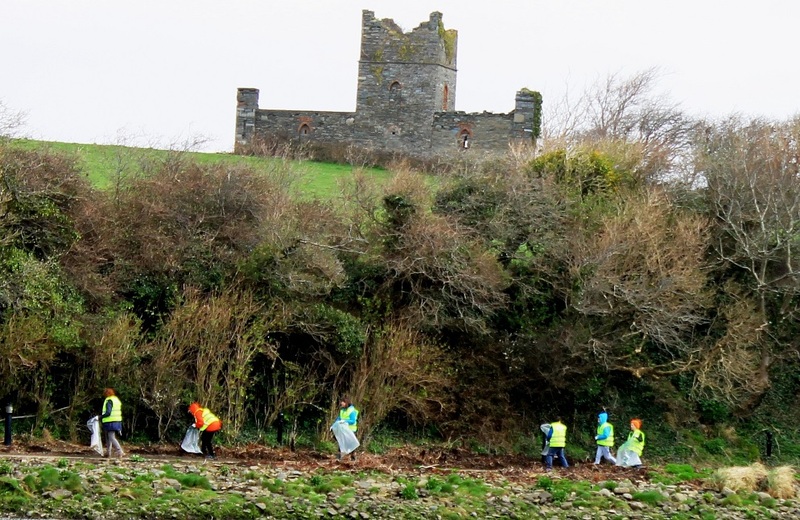 Landscaping and Open Spaces / Tírdhreachú agus Spásanna Oscailte:Glin is a delightful coastal village with numerous places and viewing points to admire the natural landscape and environment along the Shannon Estuary. One such example is the picnic area at Glin Pier, this area looked well on adjudication day however we felt that the large grass areas would be even better presented if the mowed grass was lifted. Bear in mind that you do not need to cut all the grass in large open spaces, if your grass cutting routine is onerous. Consider allowing grasses and plants a greater opportunity to grow and flower, giving a more natural appearance and more variety than close-mown grass. This will support more plants and insects, which will then support wildlife like insect-feeding birds. However cut strips alongside paths and walkways shorter to maintain a tidy appearance and so that people know the area is being carefully and sustainable maintained.We noted that one or two seats on the Knockaranna walk (coastal section) would benefit from painting. The beech hedging in the Trail Head Garden is beginning to thrive. The community vegetable garden at Cloverfield is one of the best seen on our travels to date, real pride is evident here. Well done on establishing the various heritage and wildlife walks in the village environs. The installation of the binoculars was a great idea! Interpretative signage is to a very high standard in Glin and your adjudicator particularly liked the panel beside the new sculpture detailing the various viewpoints. This was very informative having never visited your village before. Use of herbicide on the coastal approach road from Listowel is evident and along the coastal walk, perhaps consider alternatives as burnt grass and vegetation detract from the overall appearance. An important element of this category is to enhance biodiversity and overuse of weed killer goes against the grain. The bird boxes at Cloverfield were noted. 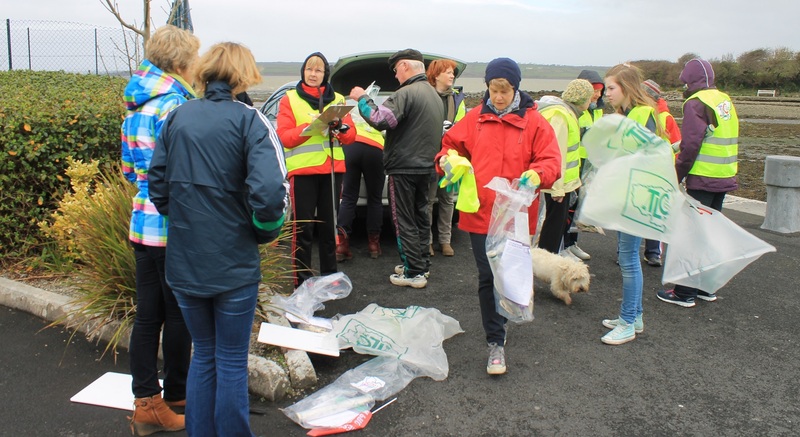 Once again you held worthy events to highlight the wonderful natural amenities on your doorstep such as tree planting for National Tree Week and the Shoreline visit with Birdwatch Ireland. Pay some attention to signage in and around the village in the coming year. The Glin name sign on the Limerick approach is still vandalised and the Glin Heritage Centre and Castle sign at O’Shaughnessy’s is bent. The dog fouling signage was noted. We are glad to hear that the bottle banks are being regularly used. Perhaps communication regarding what is accepted in the textile banks would be worthy for inclusion in your communications with the local community as a cot mattress, duvet and other items were noted at the textile banks on adjudication day. You appear to be doing a great job with regards to litter control – keep it up. The Green Schools Committee and the National School children appear to be busy under this category. We hope to see two raised Green Flags next year. The projects you note are worthy however given your experience in the competition your adjudicator feels that you could raise the bar in this category. Consider some interesting and novel ideas of communicating with the local residents on the sustainable uses of resources and the minimisation of waste for next year. 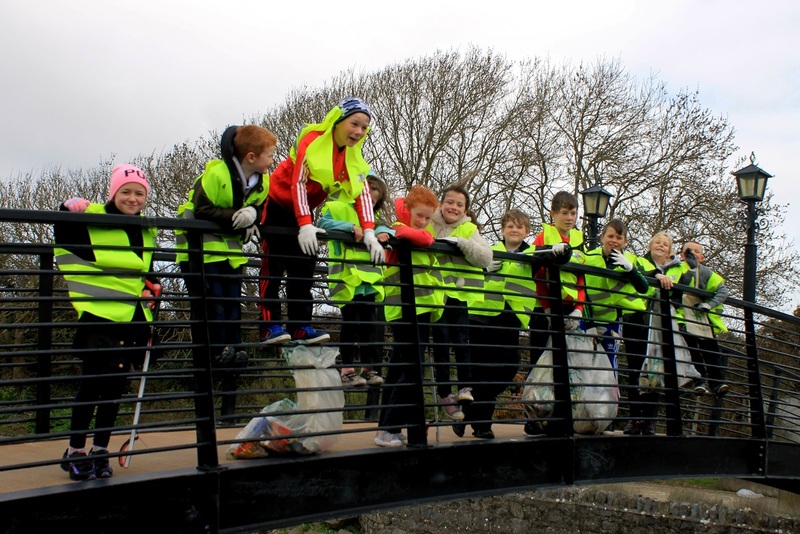 Contact the Council’s Environmental Awareness Officer, who works in tandem with schools, community groups and members of the public to encourage them to reduce, reuse and recycle waste who will be able to assist with the development of a worthy project for the competition next year. Some houses located along Church Street are getting into disrepair and could do with some attention. House painting in the town along Church Street was noted. Kilfergus Estate looked well on adjudication day with maintained green areas and traditional style name stone. Corbry also looked well with the communal grass area neatly trimmed however the grass area with the goal posts could be better maintained, lifting the cut grass from this area would significantly improve the overall appearance. Cloverfield residents are to be congratulations on such a delightful display of colour and interest, the gardens here are truly wonderful – plenty of avid gardeners residing in Cloverfield. There are lovely stone walls at various locations throughout the village adding character and heritage value, please ensure these are maintained as some sections are in need of repair. It was pleasing to read in your application that a stone wall was conserved using original stones on Mill Street. The disabled parking spaces were noted. We visited Glin Pier and seen the re-surfacing stone works. We noted the roads that had been recently resurfaced. Peg at Library announces litter collection facility. February 2014Visit by Environmental Control Officer who delivered some dog poop-scoop bags which are free and available to all dog owners from the library. 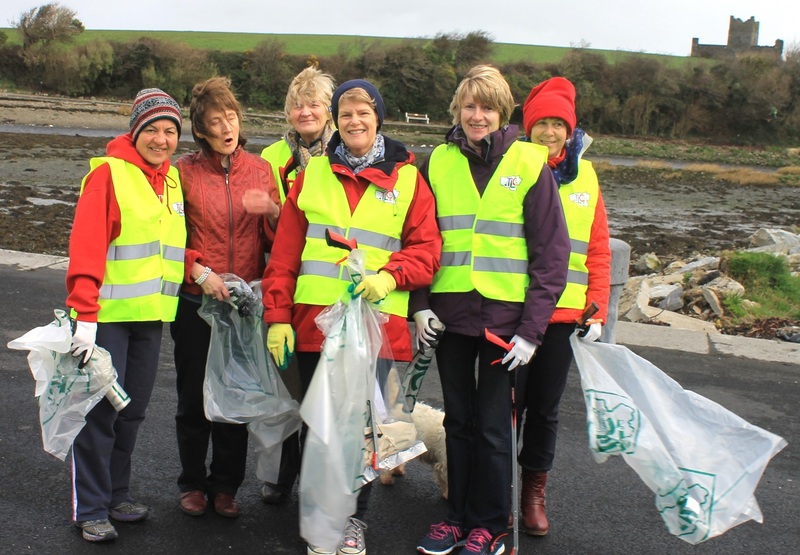 September 2013Glin Tidy Towns Committee thrilled by ten point gain! 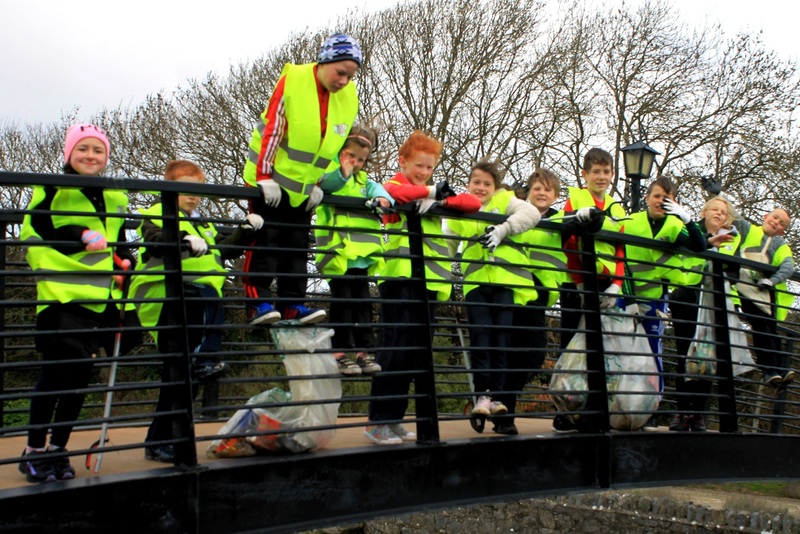 July 2013Wednesday 17th July – town clean up – all streets and open spaces.